In total, there are about 3,500 species of mosquitoes. These blood-sucking insects can find their way inside homes and businesses and infest outdoor spaces. Due to the gravity of mosquito-borne diseases, it’s of the utmost importance to rid your home or business of these pests. When you need a mosquito exterminator, turn to the experts at Horizon Pest Control. Did you know that mosquitoes are actually considered flies? They belong to the order called Diptera. Like other flies, mosquitoes have a mobile head, two large compound eyes and a single pair of wings. While species vary in regards to size, all mosquitoes are marked by slender bodies with long legs and antennae. They also have mouthparts designed for piercing and sucking. What Are Mosquitoes Attracted To? First and foremost, mosquitoes are attracted to moisture. This could be a clogged gutter, bird bath in your yard and even the dog’s water bowl in your home. It’s in these moist areas that the pests breed and produce eggs. 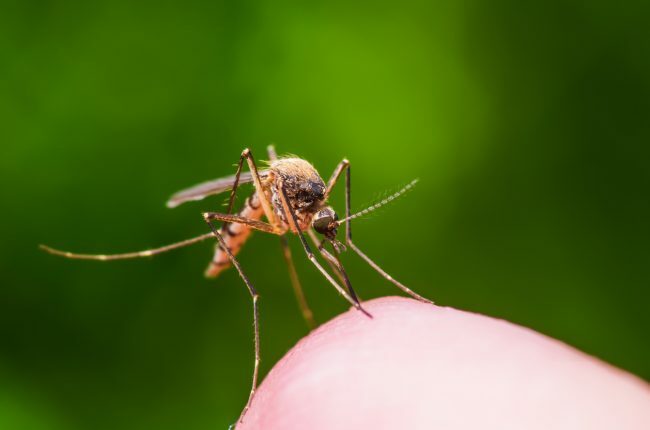 Mosquitoes are also attracted to certain flowers and types of plants, as well as tall grasses, weeds and bushes where they can hide from the midday sun. As you may already know, mosquitoes are drawn to humans, and for a variety of reasons. For one, female mosquitoes rely on the iron and protein in your blood to reproduce. Mosquitoes are also attracted to heat, sweat, carbon dioxide and even certain clothing. Besides humans, certain species of mosquitoes will attack birds, fish, reptiles and some other mammals. At Horizon, we know what makes mosquitoes tick. And we’ll do everything in our power to help you manage the population of mosquitoes in and around your home or business. Contact us today to receive your free consultation. We serve residences in residential and commercial clients in Northern and Central New Jersey, Rockland County, NY and New York City. OUR GUARANTEE: If pests return, so will we – FOR FREE. 98% SATISFACTION RATING: on average most of our clients have been with us for 10 years or more. Our oldest clients are families that have trusted us with their pest control and home services since 1970. New Jersey pest control service you’ll find from any service company, with fast and effective response to your needs. © 2019 Horizon Pest Control. All Rights Reserved.